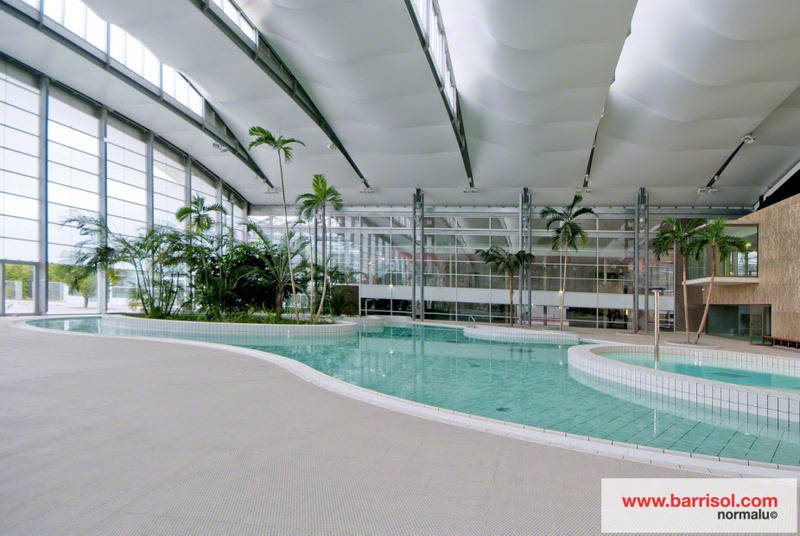 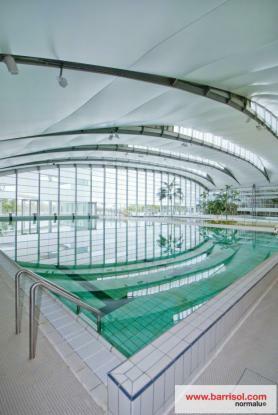 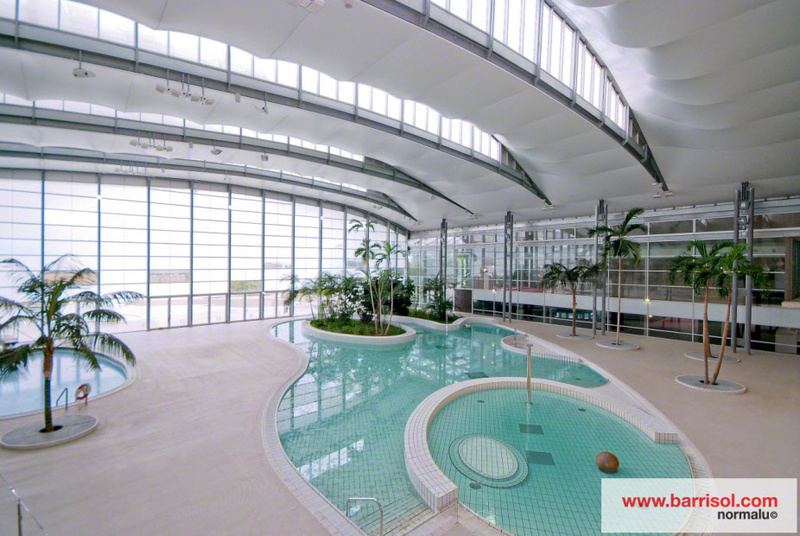 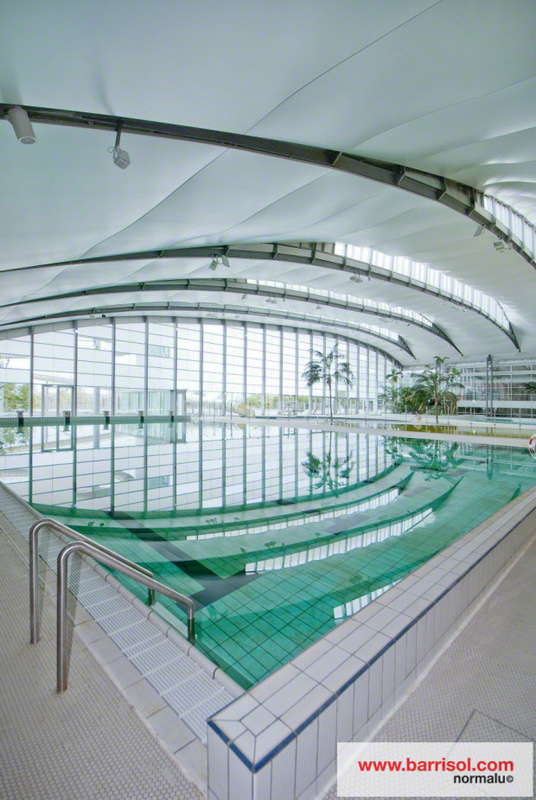 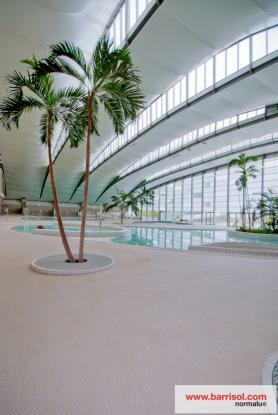 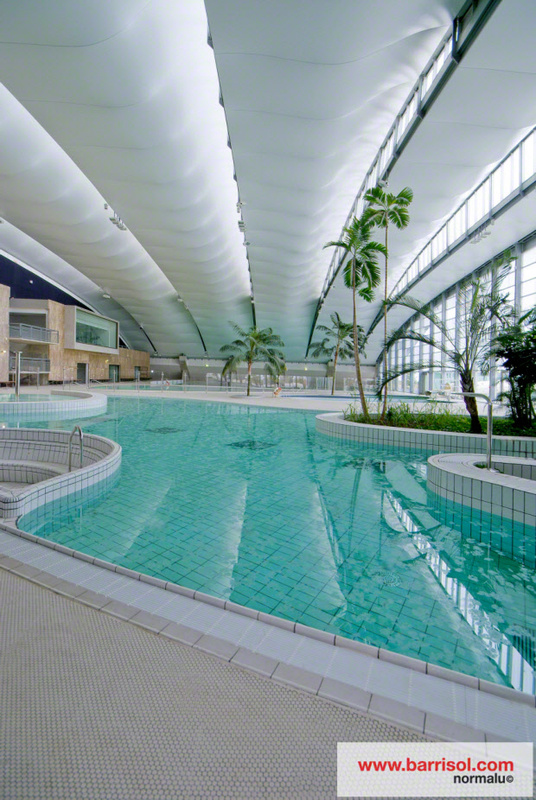 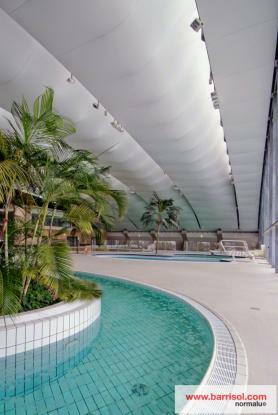 Close to the Roissy Charles de Gaulle airport in Paris, the small village of Mesnil Amelot has a sport hall equipped with a swimming pool. 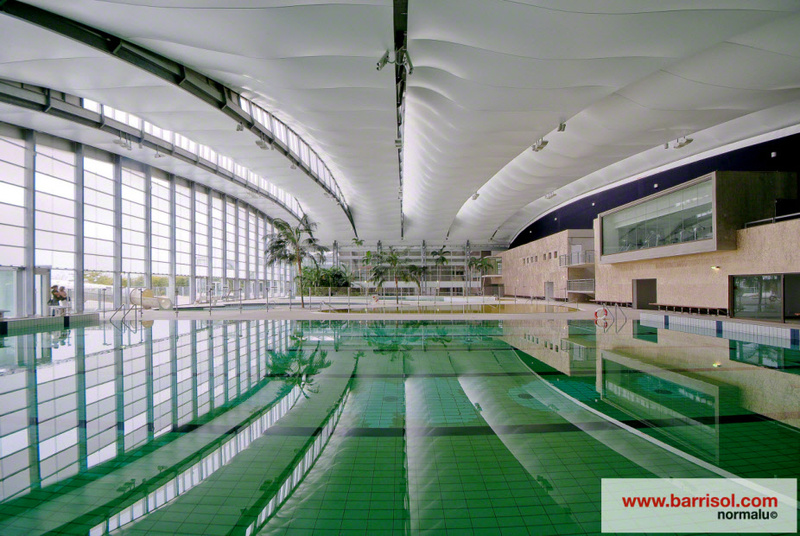 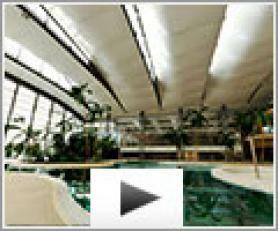 The ceilings were realized by the architect Marc Mimram who chose Barrisol to implement his ideas. 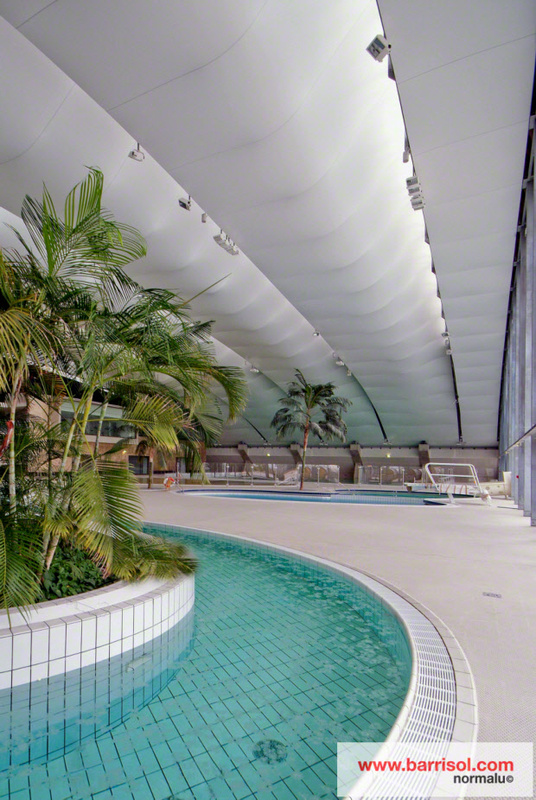 A 3D wave's structure in white Barrisol sheet was especially conceived to give volume and dynamic movements in this space dedicated to the sport and the relaxation. 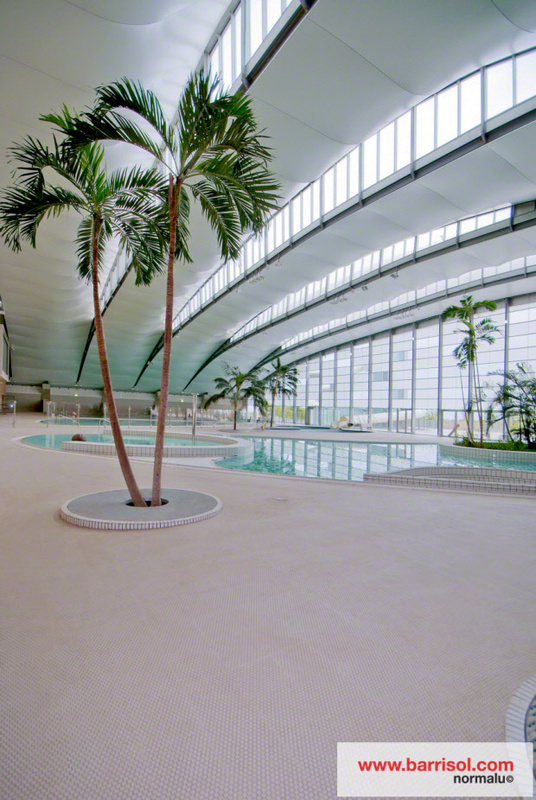 Like a fish in water, Barrisol is perfectly adapted in this interior decoration.